Fifteen separate Batman-related domain names have been registered by a Warner Bros. proxy. Fifteen separate Batman-related domain names have been claimed by MarkMonitor, a proxy that Warner Bros. has used in the past. The registrations took place January 10th 2013 and, while none of them link to an actual web page yet, you may be able to work out a common theme. Y'know, apart from the whole Batman thing. There's an outside chance that this is movie related as opposed to a games thing, but that darn common theme would seem to suggest otherwise. 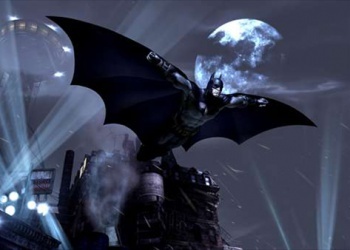 At least Yahtzee will be happy, sort of, anyway; though it's always possible that Warner Bros. actually intends to make a movie based on the Batman: Arkham Asylum game.